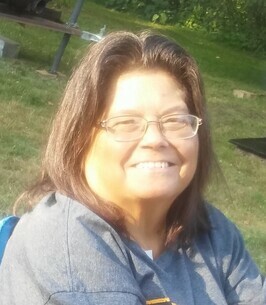 Barbara Davis Service Details - East Liverpool, Ohio | Dawson Funeral Home, Inc.
Lisbon, Ohio – Barbara “Bobbi Lynn” Davis, 56, of Lisbon, Ohio passed away on Thursday, September 20, 2018 at her home with her family by her side following a lengthy illness. Barb was born March 21, 1962 in East Liverpool, Ohio a daughter of the late Ronald and Jessie “Goldie” Murphy Ream. Barb graduated from East Liverpool High School in 1981 and attended Kent State University. She was an appointment specialist at Hearing Aids & Devices in Columbiana. Barb was a member of Lords Community Church formerly known as Lisbon Community Church and the West Point Lions Club. Barb loved her grandkids and enjoyed spending time with them. She was very outgoing and loved to plan fund raisers to help anyone in need. In addition to her parents Barb was preceded in death by a brother Ronald Ream in 1979. Surviving are her husband of 27 years, whom she married July 26, 1991, Ricky Davis; two daughters Sheena Davis and Amanda (Charles Green) Davis both of Lisbon; three grandchildren Charles Green, Landen Davis and Alyvia Green all of Lisbon; sister Jessie (Gary) Hayes of Peru, IN and two brothers Darrel (Alice) Ream of Lisbon and John Ream of East Liverpool. Friends may visit Monday at the Dawson Funeral Home where the family will be present from 10 a.m. to 11 a.m. Pastor Ed Sferra of the Lords Community Church will conduct a funeral service Monday at 11 a.m. at the funeral home. Interment at Crest Haven Memorial Gardens to follow. 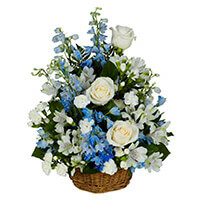 To send flowers to the family of Barbara Lynn ""Bobbi Lynn"" Davis (Ream), please visit our Heartfelt Sympathies Store. I pray your treasured memories of Bobbi Lynn will keep you strong. Many caring thoughts are with you all at this difficult time. I love and miss you so much my Mommy! Ricky you and your family are in my thoughts and prayers. Aunt Bob you will be truely missed and we Love you!! Rest in Heaven!